Chief Seattle was a member of the Suquamish tribe, the original inhabitants of northwest Washington. 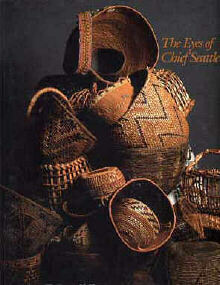 This book offers the history & experiences of this tribe. It's beautifully complemented with turn-of-the-century black and white photographs, plus full color photos of tribal artifacts. This book was compiled through the research and collection efforts of the Suquamish Tribal Cultural Center, which has received national recognition for its study of Native American peoples and their struggle to adapt to the ways of a foreign culture.